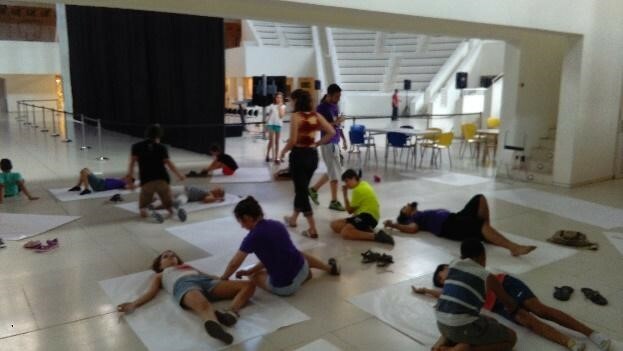 Blog del Museu Nacional d'Art de Catalunya » “Montjuïcland” a different summer camp, an unforgettable experience! 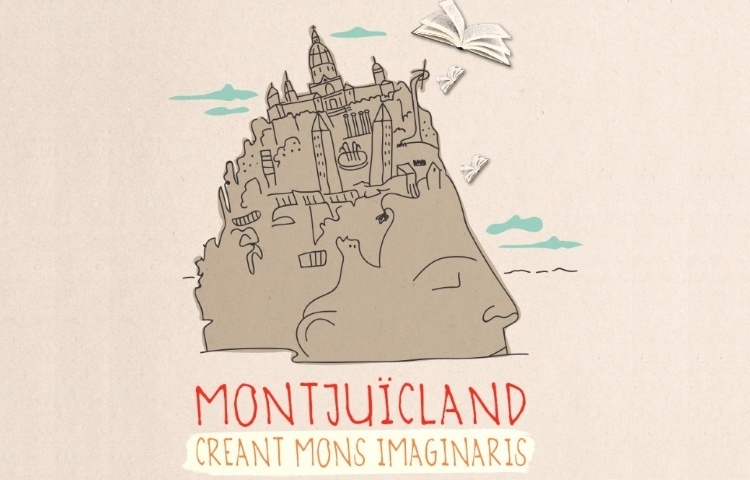 This year the team of educators of the museum has had the opportunity to organise the summer camp of “Montjuïcland”, aimed at boys and girls of 8 to 14 years old. We were very excited and at the same time nervous, given that we were really looking forward to being able to open the doors to this space which is already like a home to us, in a different way. For us the museum is neither a silent, serious or formal space. Quite the opposite. We esperience it as a very dynamic place, almost a world, where almost anything could happen. 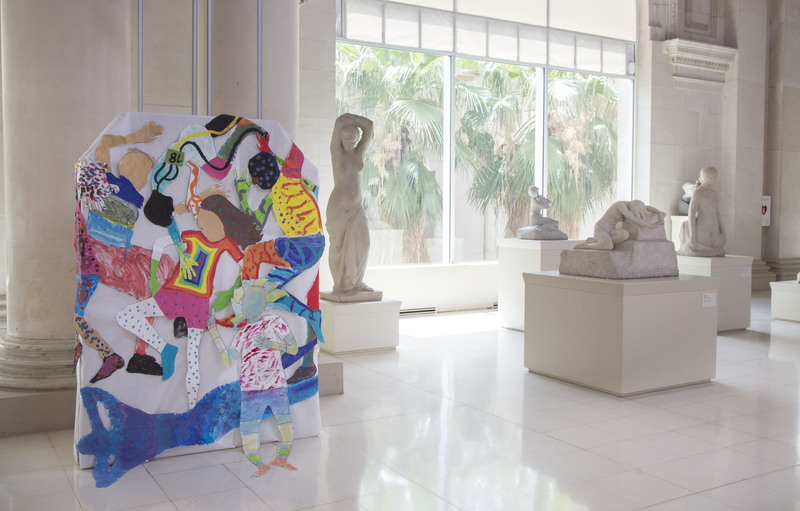 We worked, surrounded by artistic objects, which explained very diverse stories to us and that, at the same time, transported us to other worlds and imagined places. It is precisely this infinite game that we really liked to share in this camp. Artistic objects have served throughout time to materialize, express and represent worlds and ways of thinking that we wouldn’t be able to share in another way. Have you ever imagined, as you walked around the city, what the ideal setting would be? Or, the other way round, how our planet would end up, and the people living on it, if we continue to not look after it, and without taking care of ourselves? Throughout history, artists, thinkers and writers have done this imaginative exercise giving shape to a utopian and dystopian world full of premonitions and symptoms of society that made them. 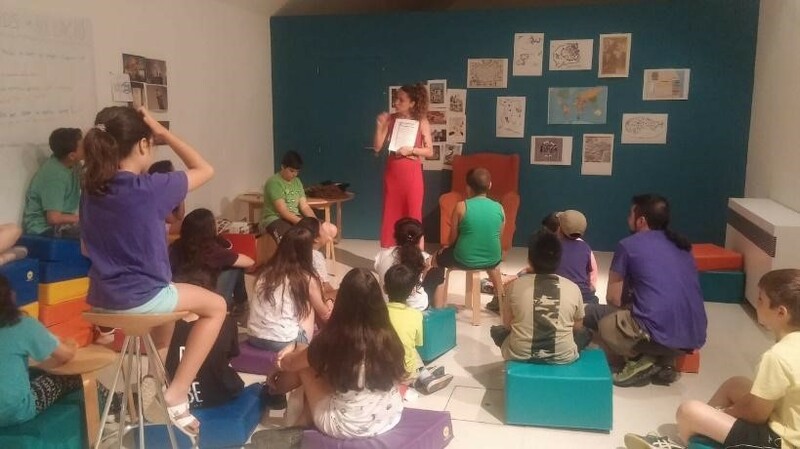 Within the educational experience of the museum, we realized that children don’t always have a voice and vote when expressing their vision of life and the world. We believe that this fact is a major mistake: their creative capacity, their vision, always open and still free of prejudices, their curiosity and frankness turns them not only into great people, but also into great artists. From this point on, we thought that it would be very stimulating to share all these possible worlds with them, and created throughout history. We therefore had our thematic axis: we would use the major literary utopias and dystopias as a driver of our creative project. Some people were skeptic regarding the children’s capacity to understand these concepts in the works of authors such as Thomas More, Georges Orwell, Lewis Carroll, H.G Wells… Experience showed that they were wrong. 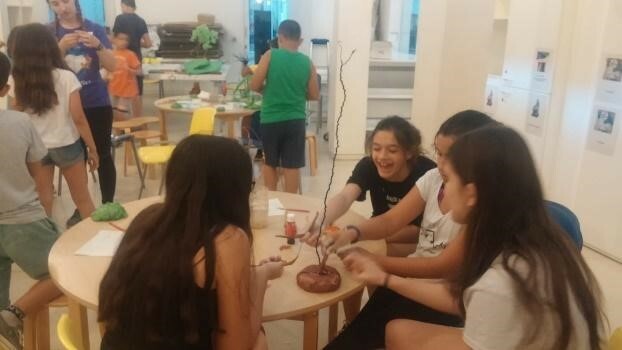 The only thing that was missing was to think how we could materialize all the reflections, dynamics and experiments that would be produced during the two weeks of the summer camp. Fortunately a magnificent book fell in our hands, Palle Nielsen. The model: a model for a qualitative society (1968). A work that precisely vindicates child play as a process of social cohesion and creation of the first order and defends the relevance of children’s opinion in the context of urban community life. From the experience of Palle Nielsen, we also took on the idea of constructing a model of the Montjuïc mountain that included the ideas and desires of the children in relation to the city. 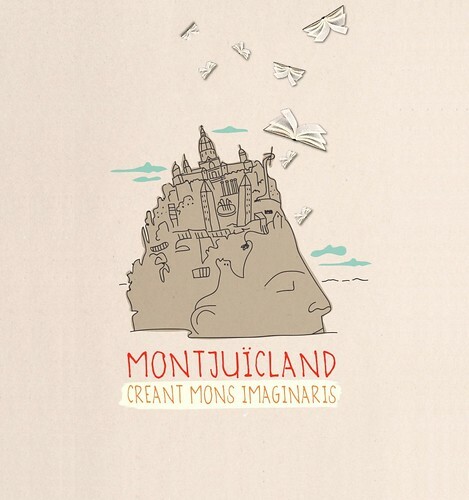 And that’s how the project Montjuïcland came about. Girls and boys, citizens in their own right! 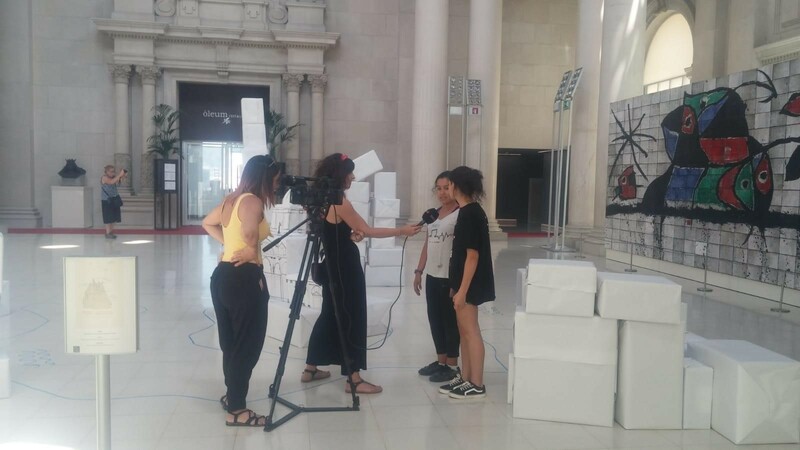 For two weeks and based around games and challenges and founded on cooperative learning and research itineraries around the rooms of the museum and the surroundings of the mountain, we would work on some of the main ideas of the most famous utopias and dystopias in literature and from the cinema. We worked on the idea of an ideal city based on the work Utopia by Thomas More; the relation with the natural environment through the work of Lewis Carroll. With George Orwell we thought about the power of the free language and the impact of the image as an instrument of social manipulation. H.G. Wells and his The Country of the Blind allowed us to tackle the accessibility of a city for everyone and their diverse capacities. Every day, our ideal city was modified and expanded, according to what we learned and experienced. The inhabitants of MontjuïcLand celebrating a job well done! From the outset, the idea could already be seen to be attractive, but what really gave it sense was the enthusiastic participation of the children as well as the dedication of the team of educators and monitors and all the staff involved. We were able to see this for ourselves, and experience it over the two weeks of work which were dominated by solidarity, critical attitude, joy, creativity and cooperative work relationships which always counted on the children’s autonomy and spontaneity. 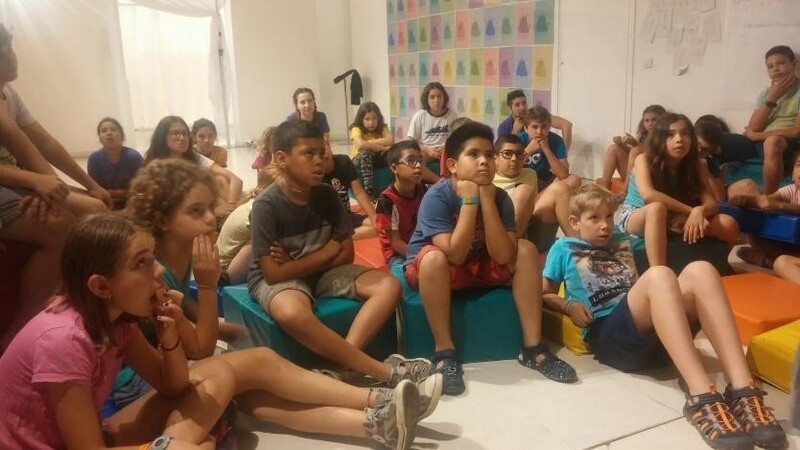 The closing event of the camp made it clear that our project had surpassed the limits of their own expectations, as parents, friends, and neighbours saw, heard and participated with enjoyment and surprise in the expositions and reflections of their children. It was notable that the boys and girls had involved their families in their project and had also taken them home. The team of educators and monitors not only enjoyed the positive carrying out of the project, but we learned and received many unforeseen and enhancing inputs. 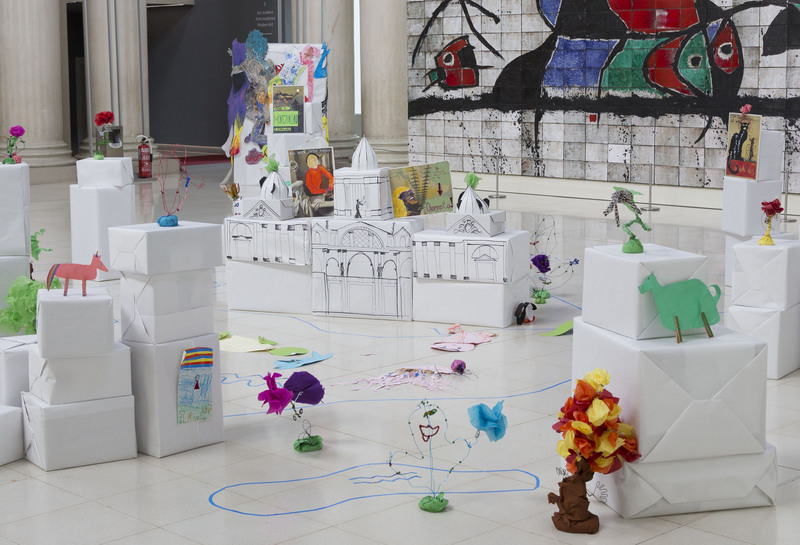 The museum had become a truly live, democratic and generative space for the future. 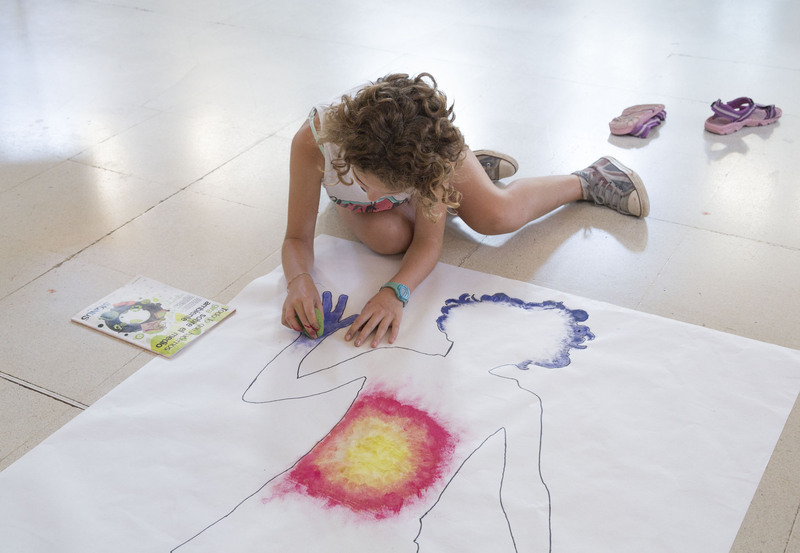 This brief emotional memory of the experience is dedicated to all the boys and girls of the summer camp, to the team of museum educators, to the team of monitors of the Fundació Catalana de l’Esplai, to the company of Serveis Culturals Fragment SL and to Teresa Gonzalez and the Department of Education of the Museu Nacional de Catalunya that gave us freedom and support to make this innovative experience possible. Educators from Fragment Serveis Culturals S.L.